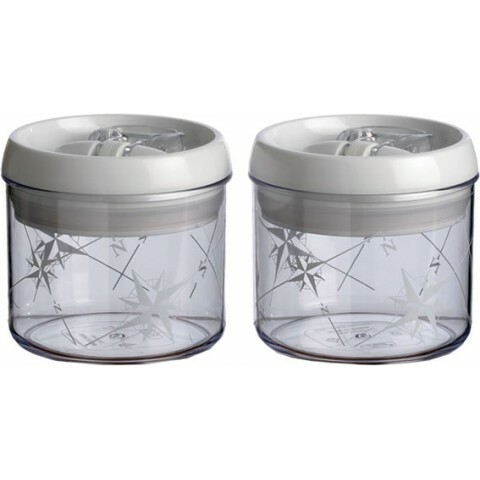 Keep your kitchen tidy with this set of round kitchen jars! 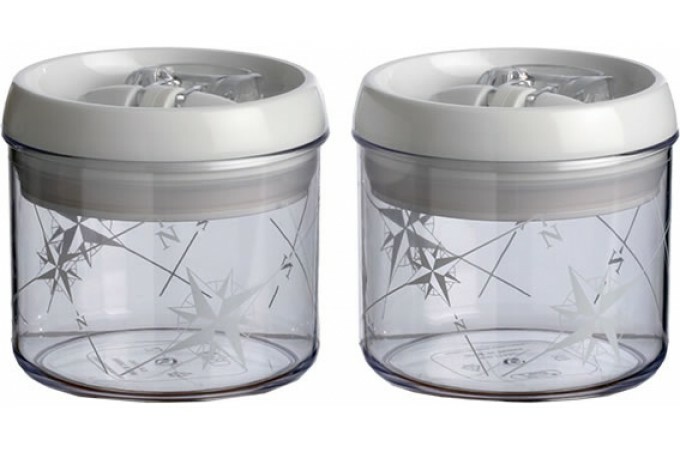 This set of 2 jars of 0.4L is perfect for sugar, coffee or salt. They are stack-able and extremely watertight to stop water getting into food on the boat. Also useful for keeping food in the fridge. 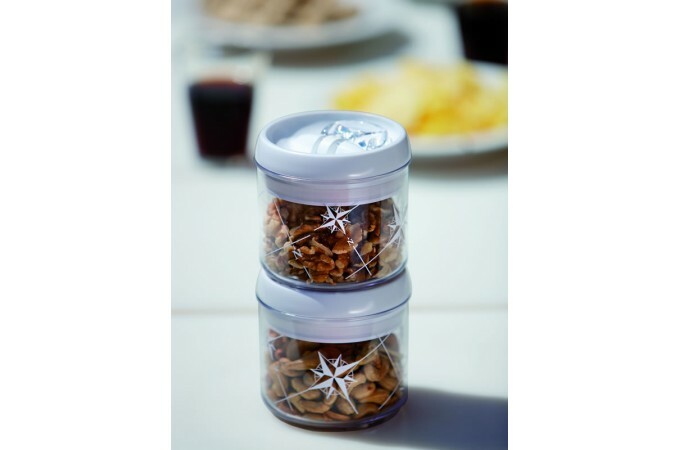 Complete this set with the set of large round jars or the set of rectangular jars. Note: This product has been designed for use in normal, not extreme, conditions. Not suitable for drinks with a high alcoholic content or very hot drinks. Not suitable for microwaves. Suitable for dishwashers, but in the upper tray only. To extend the life of the product, avoid using abrasive cleaners.